Do you face a criminal charge but lack money to hire a lawyer? If so, you should understand your Sixth Amendment right to legal counsel. The right to an attorney in criminal proceedings is established in the U.S. Constitution's Sixth Amendment. It is part of the Bill of Rights, originating in 1789. This amendment provides legal protections for Americans facing criminal prosecution. These protections include the right to a speedy public trial before an impartial jury. The right to legal counsel was extended to felony defendants who were not able to afford an attorney thanks to the U.S. Supreme Court case Gideon v. Wainwright (372 U.S.335, 1963). This case held that defendants who could not afford a lawyer could not be assured of a fair trial unless legal counsel was provided for them. Since that decision, such defendants can receive a court-appointed attorney or public defender who's paid by the hour by the court -- which is to say, by the government. You may have often heard this right declared in movies or on TV when an arresting officer declares a person's legal rights. Upon an arrest, police are required to declare such rights. These are known as Miranda rights or Miranda warnings, due to the 1966 U.S. Supreme Court case Miranda v. Arizona. "You have the right to remain silent. Anything you say can and will be used against you in a court of law. You have the right to an attorney. 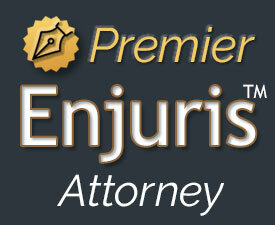 If you cannot afford an attorney, one will be appointed for you." Your first chance to request a court-appointed lawyer is when you first appear before a judge after your arrest. This is known as an arraignment. The judge's initial question will be whether or not you are represented by an attorney or if you want to request that the court appoint an attorney for your case. To establish such status for receiving a court-appointed attorney, the court must determine whether or not the defendant has the ability to pay. Such ability is customarily based on a defendant's expenses and income. Specific rules for this ability, and whether or not a court provides free legal counsel to a defendant, may vary significantly from court to court. To begin, a defendant can provide financial records to establish for the court that he or she doesn't have enough money to hire a private attorney. In some cases, courts have simply taken the defendant's word for this, particularly if the defendant is homeless. In others, the court may require the defendant to get estimates from several private attorneys as to their cost. Establishing insufficient income to pay a lawyer can involve unemployment, a disability, an illness or other factors. Such factors cannot prevent you from claiming your Sixth Amendment right to legal counsel. The nature of a charge also can determine if a defendant is able to pay, or needs a court-appointed lawyer. A minor charge which may be resolved quickly at trial would place less of a financial burden on the defendant, whereas a major charge which might involve a lengthy trial is more likely to require a court-appointed attorney for a defendant with little means to pay. Keep in mind that court-appointed lawyers or public defenders often deal with many cases at the same time and cannot devote their full attention to any one defendant. Private attorneys tend to have more time to devote to a case; however, a court-appointed lawyer is better than not having representation at all since public defenders handle many cases and may, as a result, know judges and prosecuting attorneys very well, which can help their clients. Also, as with a private lawyer, a public defender is obligated legally to defend your case vigorously. A defendant who is represented by the same public defender throughout a case has "vertical representation." A defendant who has several different defenders taking care of different elements of a case has "horizontal representation." Although vertical representation provides familiarity and continuity for a defendant, horizontal representation may mean that more senior-level defenders are engaged for more serious elements of a case. Exceptions to Sixth Amendment protections, as set forth by justices in the Gideon case, are that the right to a court-appointed attorney extends only to defendants who are charged with a misdemeanor or felony which could lead to imprisonment if the defendant is convicted. That rule also applies in a juvenile delinquency proceeding. Other exceptions are defendants who are developmentally disabled or mentally ill, and defendants for whom child protection or child custody is involved. Besides a legal right to a court-appointed attorney, there are other options for defendants to get an attorney to represent them. For instance, a defendant may qualify for free legal aid, for which income level isn't the only criteria. Such defendants can seek and obtain legal help on their own, without help from a court. A defendant may qualify for free legal aid if he or she can establish a need for "indigent" representation. That means the defendant may partly repay the court for the expense of legal services. If the defendant's income is below the national average for the number of people in that household, he or she may also qualify for free legal assistance. That can come from legal aid clinics or from private attorneys who offer free legal help as part of what are known as "pro bono" programs. If you are facing a criminal charge and aren't sure you can afford an attorney, we invite you to consult with a private attorney like Neal Davis about your legal options, or to find out how much a lawyer's services might cost, given the circumstances of your case. At the Neal Davis Law Firm, your first consultation is completely free - no cost, no obligation. Keep in mind that if you can afford to hire a private attorney, your defense in a criminal case may be stronger. Continue reading to learn more about your fourth amendment rights and the constitutional rights of every defendant.